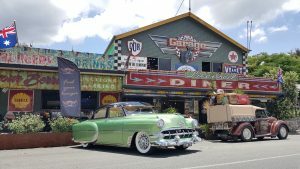 The much-anticipated American Whiskey Bar at Rick’s Garage and Diner in Palmwoods finally opened its doors on the 6th May, just in time for the second annual Time Warp Festival, which the diner hosted the following weekend. 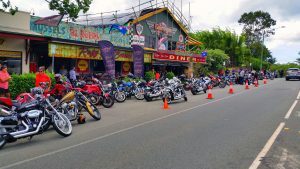 Many lined up along the length of the footpath to get inside and be among the first to experience the new addition to the iconic Sunshine Coast diner. Renovation of the diner’s top floor had been “full-on” for months, but the crowd’s response to the new adults-only venue has shown the value of such an investment. 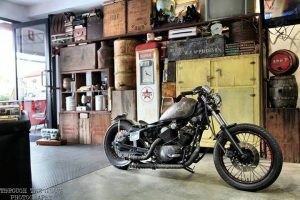 Many of the classic and vintage car and motorbike enthusiasts, who were regulars, made the effort to be front and centre, especially for the unveiling of the whiskey bar, with a slew of new customers whose interest was peaked by the new development. 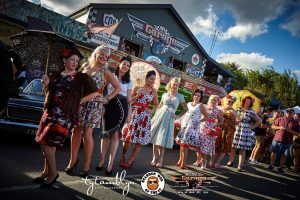 This adults-only venue for whiskey and related vintage entertainment is sure to become an absolute icon of the Sunshine Coast’s already bustling nightlife. I am looking forward to the opportunity to sample their selection and enjoy the rock-a-billy fun in a much more adult feel. 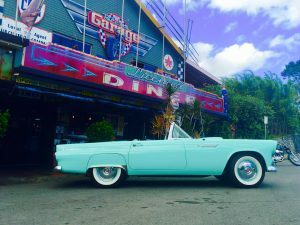 For more information on Rick’s Garage and Diner and their new Whiskey bar, visit their Facebook page. 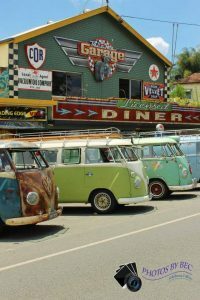 Noosa 10 Day Long Weekend Festival!